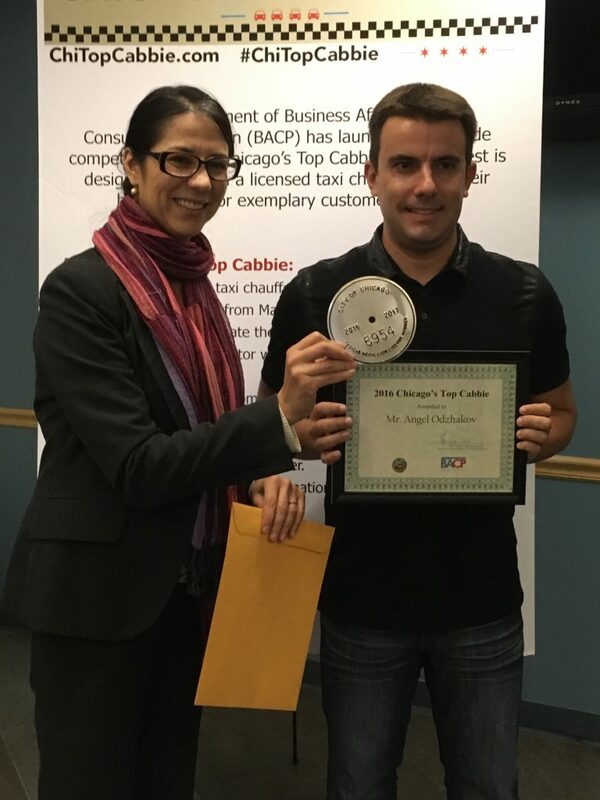 The City of Chicago Department of Business Affairs and Consumer Protection (BACP) today announced the winner of the citywide competition to find ‘Chicago’s Top Cabbie’. Mr. Angel Odzhakov has been selected as the winner from among the twelve finalists. Mr. Odzhakov received nearly 30-percent of the vote to capture the title of Chicago’s Top Cabbie. Odzhakov is originally from Bulgaria and currently lives in Evanston. He says he “likes driving and helping people [get] from point A to point B”. One customer who nominated Odzhakov wrote: “Multiple pickups. 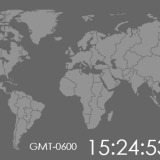 Always arrives early. He is courteous and the cab is very clean. Drives safely and smoothly. Exemplary driver.” Nominations received for Odzhakov overwhelmingly praised his professionalism, great customer service and “exceptionally clean car”. BACP Commissioner Maria Guerra Lapacek presented the free medallion to Mr. Odzhakov at the Public Vehicle Licensing Facility on Ogden Avenue Friday, October 14th at 1:30p.m. The Chicago Top Cabbie contest was open for nominations from May to July. The public was encouraged to nominate their choice for “Top Cabbie” from among the 12,000 licensed taxi chauffeurs in the city. A nominating committee comprised of BACP employees; Judith Frydland, Commissioner of Chicago’s Department of Buildings; George Lutfallah, Editor of Chicago Dispatcher; Efrat Stein of Self Help Home and Bill Kurtis reviewed, evaluated and narrowed the nominees down to twelve finalists. The final voting period was open from September 16th to September 30th when more than 12-thousand voted in the finals. The chitopcabbie.com website received more than 18-thousand page views from 43 countries. The competition, with the prize of a free taxicab medallion, was created earlier this year through an ordinance introduced in City Council. The contest was designed to build upon the success of the Taxicab Driver Excellence Award, which recognizes taxicab drivers who serve the disabled community. Иван Владимиров – Нав: Защо искам да се върна в България?